David Goodsell has been fascinated with telephone switching since visiting the phone company on a field trip, seeing rows and rows of step-by-step (SXS) switches clicking away to connect people without human intervention. 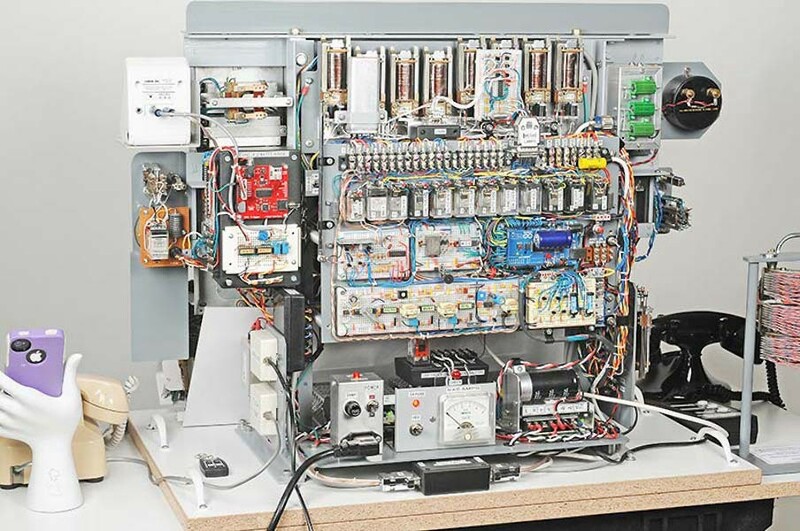 This technology has been phased out since the 1990s, but that didn’t stop Goodsell from constructing his own private branch exchange (PBX) using vintage equipment. It can even call modern phones! It’s a fascinating pursuit, and something that produced a machine with nice-looking panel layout on the back. This includes a variety of electronic components, such as an Arduino Mega that runs the system. For the front, he needed a way to show dialed digits. While LCD displays would work for most projects, his phone system needed something more retro-looking — a series of electromechanical 7-segment displays. Finding the correct displays online was easy enough, but actually driving 7×7, or 49 separate segments was a different story. After research (including discovering a decoder/driver IC that was dissapointingly no longer available) he went to work making his own driver. The result is actually a 3-board layout, allowing him to accommodate the footprint of the display units themselves. They feature four TB6612 dual motor drivers along with an ATtiny2313 on each multi-board module. The bulk of the project write-up is about how to drive these displays, and includes a parts list if you’d like to build your own. 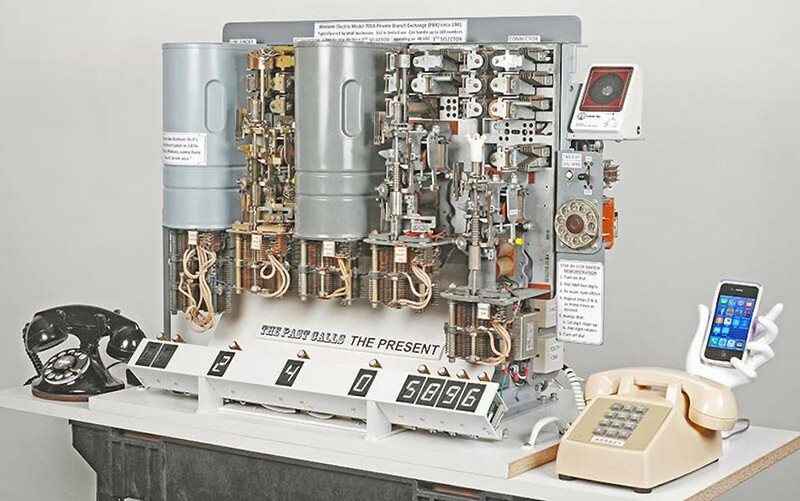 Vintage-Style Telephone PBX Displays Digits Electromechanically was originally published in Hackster Blog on Medium, where people are continuing the conversation by highlighting and responding to this story.